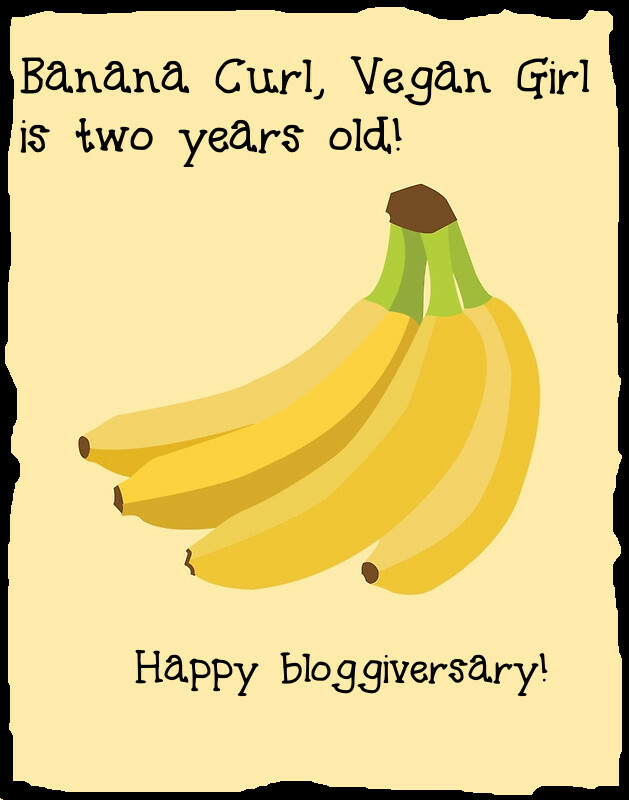 Vegan Mofo Day 4: Post #4: My blog’s 2 year anniversary is today! Today is my blog’s 2 year anniversary! I made a cute card for the occasion 🙂 It seems like it has been longer than two years, honestly. I’m so proud of how far I’ve come, too. And although I am currently frustrated with being gluten free AND vegan now, I have a feeling this year I will work out some of the problems I’m having with learning to bake vegan AND gluten free. I am going to try to learn through various cookbooks, which is how I learned to cook/bake in the first place. Then once I feel confident enough, hopefully I can go back to creating my own original, unique recipes. I look forward to sharing these adventures with you! This will also hopefully make my blog more accessible to more people! This is also my second year participating in Vegan MoFo! Woohoo! I’m finding it a little more challenging than last year however, especially as I am finishing my last few bits of work for school before I have my degree! Today’s theme was to tell everyone about a weird food combination I love. Well, I don’t really have a really weird one, but some people may find this weird: sometimes I get cravings for a peanut butter and potato chip sandwich. I didn’t make one today, because I’m trying to eat a little bit more healthy than usual, and I don’t have that particular craving/am not in that kind of mood…but an especially crispy potato chip (I like Utz’s chips that have ridges in them best for this) can trigger this desire. I like it best with white bread and smooth peanut butter. I think this comes from eating chips with my sandwiches as a kid (I was rarely even allowed to eat chips!) and making sure each bite of my sandwich included a chip at the same time. Eventually, as I became more autonomous in making my own choices about food, I just put the chips directly into the sandwich. It’s childlike, weird little things like this that can make me happy. 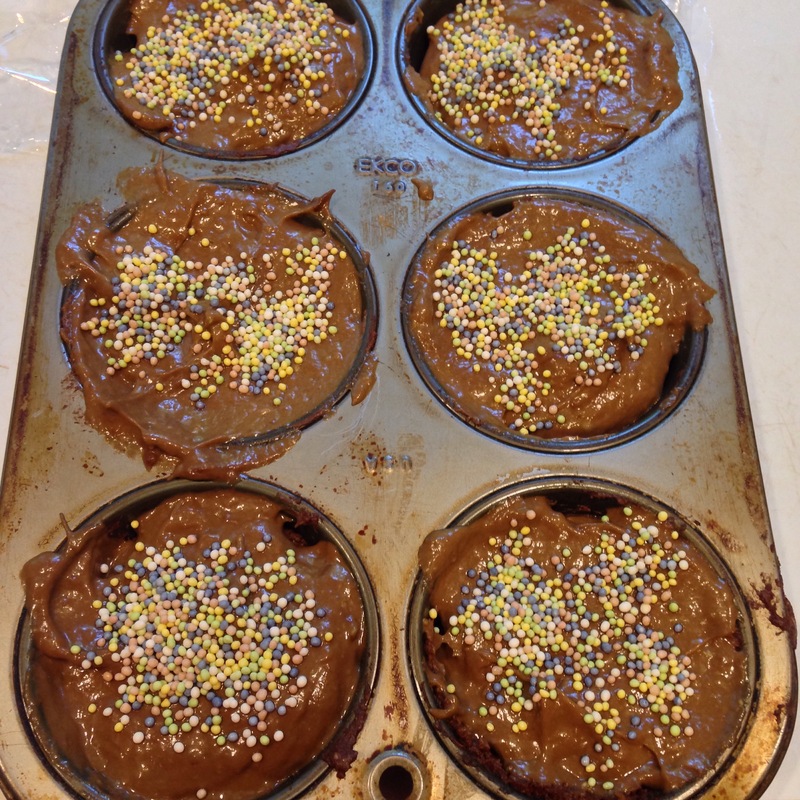 Oh, and here is a picture of some raw brownie cupcakes I made today that I’ll pretend were in celebration for today.